Thinking of moving home but want to keep your mortgage? You don’t have to look for a new deal; you can take your existing mortgage to your new home. Most mortgages are portable, meaning you can transfer them from one property to another. Here’s what you need to know about porting your mortgage. What are the advantages of porting your mortgage? 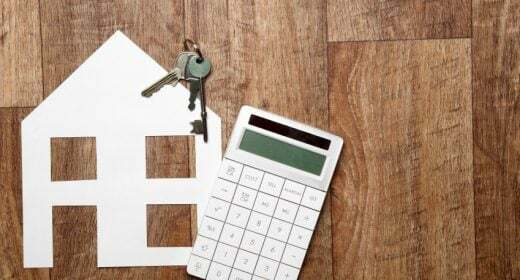 Most borrowers opt to port their mortgage because they are either on a deal with a low interest rate or have a product with an early repayment charge. Early repayment fees can amount to thousands of pounds as they are charged as a percentage of the loan. The average is 3% but some lenders charge as much as 5%. How does porting your mortgage work? Porting your mortgage is no different from switching to a new deal. When you sell your home, the mortgage is redeemed, meaning there is no outstanding loan on the property. Even though you’re keeping the product on your previous loan and staying with the same lender, you have to apply for it again. This is because you’re asking your lender to re-lend you the money to buy a new home. Your lender will carry out a valuation of the property you want to buy and look at your household income to decide whether you meet their current affordability criteria. Lenders have refused to let existing customers port their mortgage because they don’t meet their current affordability requirements. People who want to borrow the same or less money have been rejected. This is happening more often because banks have become stricter with their lending criteria since the Mortgage Market Review rules were introduced in 2014. What happens if I want borrow more money? If you want to borrow more money, it can’t be added to your existing loan. You have to apply separately for the top up amount and the two rates are blended together. It is a good idea to try to overlap the two deals. If you can get the new deal to end around the same time as your old one, it means you can look a deal for the whole amount without incurring an early repayment penalty. If you decide to keep your deal with your existing lender, you cannot top up the mortgage with a loan from another lender. Most lenders will only offer a first charge mortgage meaning that if you default on the mortgage and your home has to be repossessed, it solely belongs to them. My lender says no. What should I do? Speak to your lender and ask whether they can review their decision. If you think you’ve been treated unfairly by your lender, get in contact with the Financial Conduct Authority and Financial Ombudsman Service. Your last option is either to find a more accommodating lender so you can remortgage and pay the early repayment penalty or stay put. What happens if there is a delay between selling and buying? If the sale and purchase doesn’t happen simultaneously, most lenders offer a period of grace, usually up to 30 days. If the delay is longer, most won’t allow you to port your current deal. However, if you opt for a deal with the same lender, they may refund the early repayment charge. Shall I sell my home before I buy a new one?